Tickets are available at The Sundance Vacations Box Office at the F.M. Kirby Center for the Performing Arts, online at www.kirbycenter.org and charge by phone at (570) 826-1100. For nearly half a decade, The National Reserve has spent its Friday nights lighting it up at a Brooklyn bar, winning over barflies with epic sets and a remarkable breadth of songcraft and showmanship. 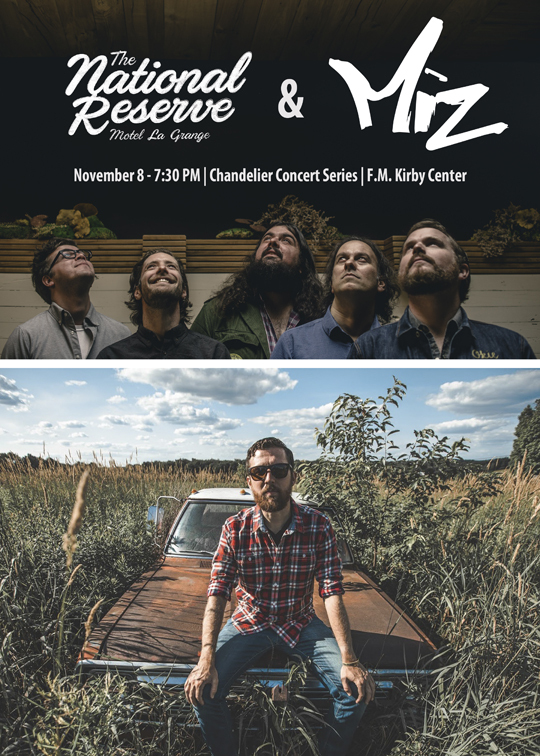 MiZ is an Americana/Roots-Rock artist from Northeast Pennsylvania known for masterful guitar playing, well-crafted songwriting, and powerful and energetic live performances.